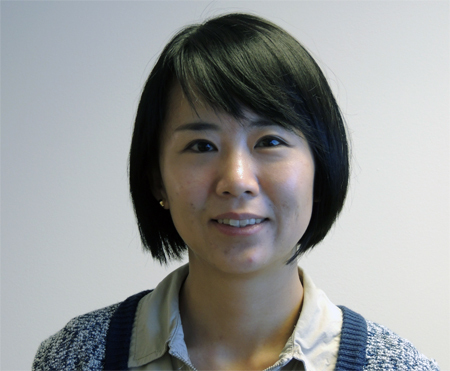 Postdoctoral researcher Yeonsook Heo (DIS) was recently awarded the 2013 IBPSA Outstanding Young Contributor award. The award recognizes an individual at the beginning of their career who has demonstrated potential for significant contributions to the field of building simulation. The International Building Performance Simulation Association makes three awards for outstanding work in the building performance simulation field of which the Outstanding Young Contributor award is one. These awards are presented on a biennial basis at each Building Simulation Conference. Heo will receive her award in August at the conference. IBPSA was founded to advance and promote the science of building performance simulation in order to improve the design, construction, operation and maintenance of new and existing buildings worldwide. This entry was posted in Postdoc Awards and tagged building performance, ibpsa, ibpsa award, International Building Performance Simulation Association, Yeonsook Heo. Bookmark the permalink.